(Los Angeles, January 3, 2017) – KAA Design, one of the nation’s leading residential architectural firms dedicated to advancing the California lifestyle through contemporary architecture, is excited to announce the promotion of Duan H.M. Tran, AIA to Partner, effective January 1, 2017. 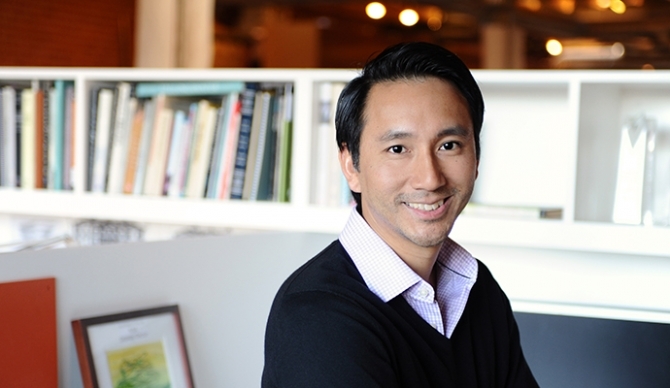 Mr. Tran has been a member of KAA Design since 2000, and was previously named Principal at the firm in 2014. During his tenure as Principal, Duan has been invaluable in his role, providing palpable leadership and a distinctive voice in promoting several key-initiatives related to the firm’s strategic growth within the areas of organizational and business development. Throughout his tenure at KAA Design, Mr. Tran’s projects have gained recognition with the American Institute of Architects (AIA), as well as with leading national design publications including Architectural Digest. Design Excellence - to continue to extend and evolve the firm’s design agenda for a new generation, through thoughtful, responsible, and award-winning design. Marketing - to continue to partner with the firm’s stakeholders, furthering existing client relationships, and building new ones for the next generation. Business Development - To continue to promote the firm’s agenda as a whole, helping to guide and support focused business and design platforms. A native Ohioan, Mr. Tran earned his bachelor's degree from the University of Miami Ohio and a master's degree from the University of Southern California. He has worked for several distinguished firms in both Ohio and Washington, D.C. prior to joining KAA Design in 2000. He is a member of the American Institute of Architects (AIA) and is a licensed Architect in the states of Nevada and Hawaii. He is certified by the National Council of Architectural Registration Boards (NCARB) and is also a member of the University of Southern California's Architectural Guild and the Los Angeles Conservancy. For more information about KAA Design, please visit kaadesigngroup.com or connect with the firm via Facebook and Houzz. KAA Design is a leading-edge design studio dedicated to advancing the California lifestyle through contemporary architecture. For over 25 years, we have created one-of-a-kind homes that place a premium on comfort and beauty, elevating the rituals of daily life from the mundane to the sublime. Based in Los Angeles, CA, KAA Design recently launched a boutique studio, Evens Architects, focusing on classical traditions in architecture.